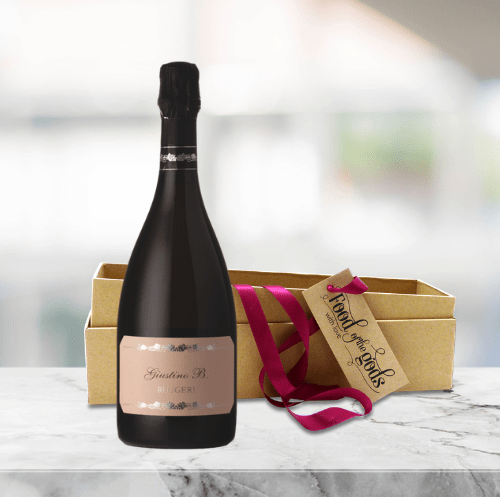 “Classic Prosecco Gift” has been added to your basket. Categories: Food and Wine, Fruit Baskets, Prosecco. 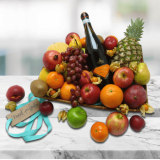 We’ve added a touch of sparkle to our Fresh Fruit Gift Basket with a gorgeous Prosecco. The basket is generously filled with a selection of the best traditional and exotic fresh fruit. A perfect gift for any occasion it’s beautifully presented in stylish basket finished with a ribbon and your personalised message. Suitable for vegans and vegetarians. A pale straw yellow colour with greenish reflections and has a delicate perlage, its fruity aromas carry through to the palate, which is fresh and slightly sweet with a moderate alcoholic volume. 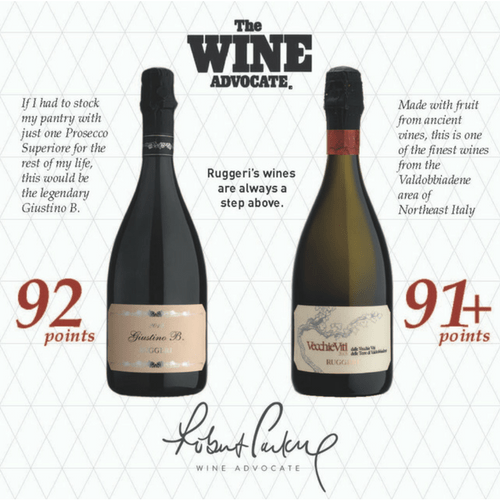 Ideal as an aperitif, or with light salads or entrees. Welcome to Food of the Gods Fresh Fruit Basket with Prosecco for UK and Europe Delivery. 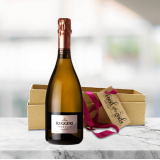 Our Fresh Fruit Basket with Prosecco is generously filled with a selection of seasonal exotic and traditional fruits and comes with award winning Ruggeri Prosecco. All beautifully presented in a stylish gift basket and finished with a ribbon and your personalised message. At Food of the Gods, we understand how important presentation is when it comes to gifting. We are also aware of the impact of packaging on the environment and to that end we are committed to using sturdy, stylish and eco friendly gift boxes, sustainable baskets, hampers and recycled and recyclable packaging materials without compromising the presentation of our Fresh Fruit Basket with Prosecco. Luxury Fresh Fruit Baskets, Fresh Fruit Basket with Champagne, Fresh Fruit Basket with Prosecco, Fresh Fruit Basket with Truffles, Corporate Fresh Fruit Baskets, Fresh Fruit Gift Basket UK Delivery, Fresh Fruit Gift Basket Europe Delivery.